2017 Somalia Presidential elections finally went down in Mogadishu on 8th January 2017 after being postponed several times. The elections were conducted at Mogadishu Airport by FIEIT where parliamentarians gathered to vote. As we look forward to the results, this posts analyzes the voting system and lists candidates that are likely to win. An update will be made once official winners are announced. 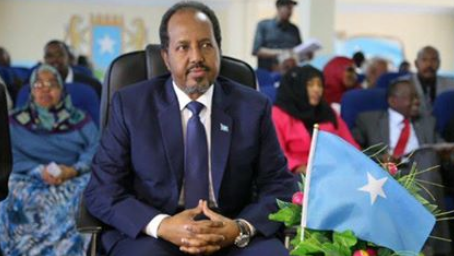 UPDATE: Mohamed Abdullahi Farmajo is the new president of the republic of Somalia after emerging the winner in a hotly contested 2017 presidential elections. Somalia politics in controlled by powerful clans and elders whose voice on who will occupy parliamentary positions is irresistible. The 275 parliamentary seats are distributed between clans under a laid down distribution formula. 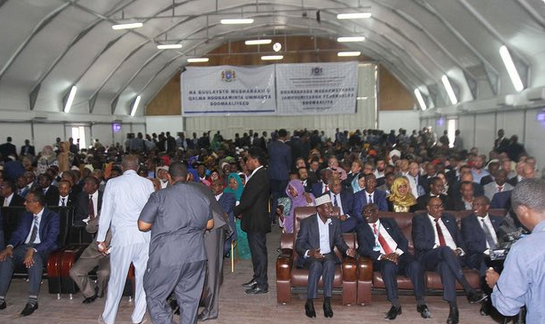 Somalia’s president is elected by a majority vote casted by members of the lower and upper house (Senators and MPs) who are 54 and 275 in number respectively. There are a total of 14,025 delegates who elect those senators and mps. There are 275 electoral colleges and each electoral colleges produces 51 delegates selected by 135 elders in consultation with sub-clan elders commonly referred to as “nabadoon and samadoono” in Somalia. IN SUMMARY: 135 clan elders select 14,025 delegates-The 14,025 delegates elect members of lower and upper house (275+54)-Members of lower and upper house elect president- The president appoints cabinet members and prime minister. This is therefore means that electoral process is not a one man one vote system as it is in Kenya, , South Africa, Nigeria and other African Nations. 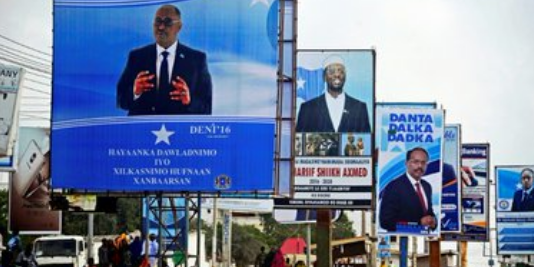 The presidential elections in Somalia were managed by the Federal Indirect Electoral Implementation Team (FIEIT) which comprises of 22 professionals. The following presidential candidates are arranged according to who is likely to emerge the winner with the top having high chances. For more updates from FIEIT on the Somalia 2017 presidential election results and winners check our next news post!